Our immaculately presented fleet of trucks (Macks, Kenworth & Isuzu) are fitted with the highest quality food grade tanks, hoses & equipment which allow us to service our clients throughout South East Queensland. 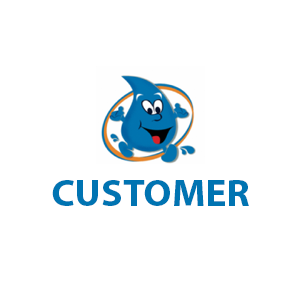 Our team of experienced drivers will provide you with the expertise and knowledge for stress free water supply. Each of our trucks has been purpose built to supply food grade drinking (potable) water. Our trucks are meticulously maintained for cleanliness & safety to ensure a high standard of service. Delivery has been received (and right on noon as advised). I can now shower again! Both Alan and myself would like to thank yourself, Chris and your team for your outstanding service – the best customer service, delivery service and staff I have ever dealt with! As you know, Hinterland Water Supplies donated our Gold Coast Sanctuary a truckload (14,000 litres) of water. I have held off getting them to deliver it as I was hoping for rain that would fill our tanks, then I would instead get the water put into our dam so we can turn the pumps back on to all the paddocks. We are at the moment carting buckets of water to each paddock by hand and it is a nightmare. Anyway, Chris & Jenny Ponting from Hinterland Water Supplies called me this morning and told me not to worry as they are coming this morning with 14,000 litres for my tanks, and another truckload for the dam. 28,000 litres !!!! I am astounded at their generousity, and so very thankful. All Gold Coast Volunteers please note: ALL THE PADDOCK TAPS WILL BE RUNNING THIS AFTERNOON !!! Wow....so happy. Delivery has been received (and right on noon as advised). I can now shower again! We've been using Hinterland Water supplies for 10 years now and in all this time the team has delivered exceptional, on call service for our Civil construction company. I would recommend their services highly.